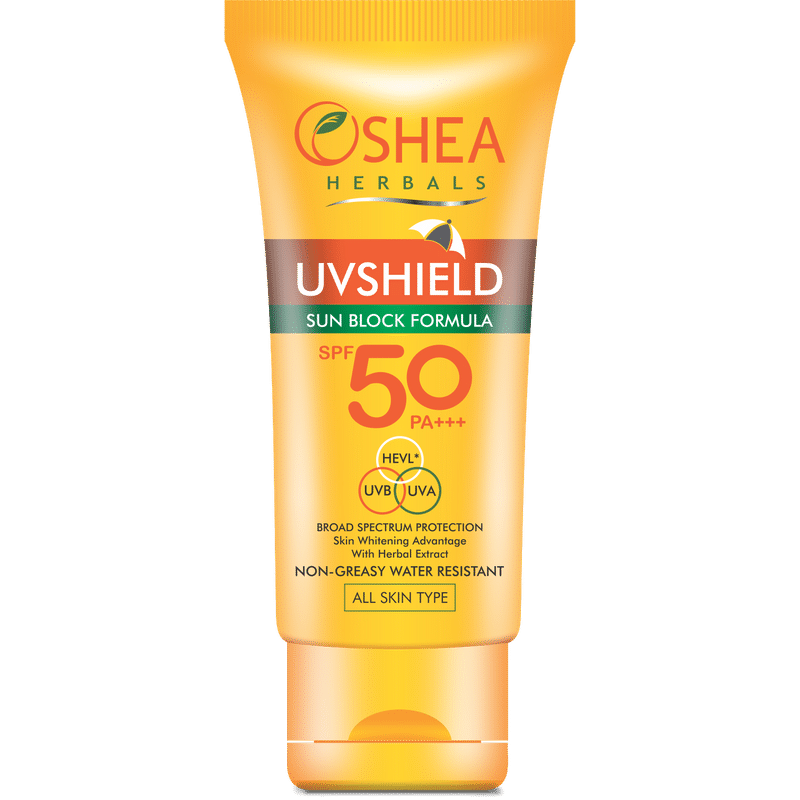 It is not only the sun that causes tanning and ageing of the skin, HEVL i.e High Energy Visible Light eg high- frequency light in violet/blue band in the visible spectrum can also be a cause of tanning and ageing. 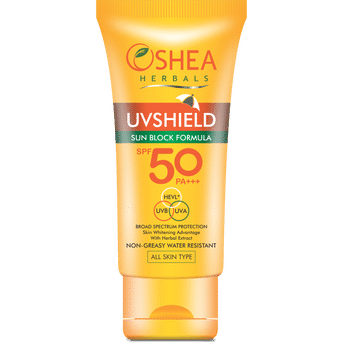 This UV Shield (SPF-50) 5-in-1 daily Sun Block Cream provides long-lasting protection against harmful UVA & UVB rays. It contains Aloe Vera, Cucumber and Licorice extracts that help maintain skin's moisture balance. This cream is easily absorbed by your skin, giving a uniform matte finish to the skin. Its non-greasy formula ensures a shine-free, light and clean feel. Daily use prevents skin from tanning and premature ageing due to exposure to sun.